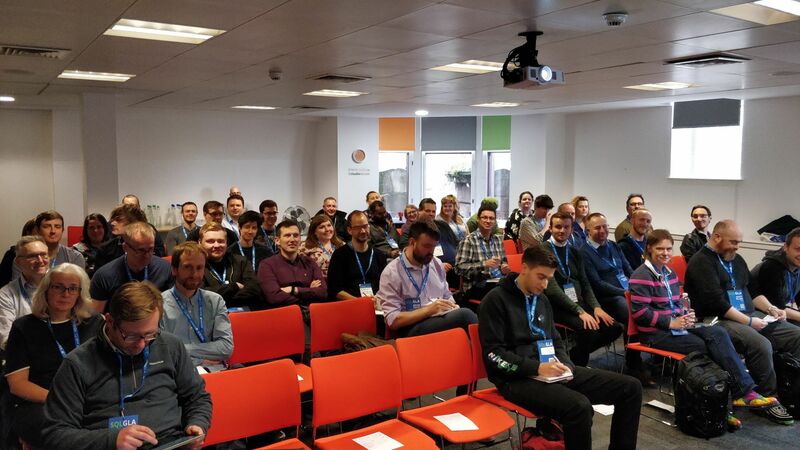 I just finished my session at SQLGLA, with a full room there were more people than I could’ve hoped for. Looking at the other speakers, I’m not even sure if i would’ve attended my own session! I submitted one of the sessions I started speaking with several years ago. After dusting it off and getting some new demos working, I was ready to go! 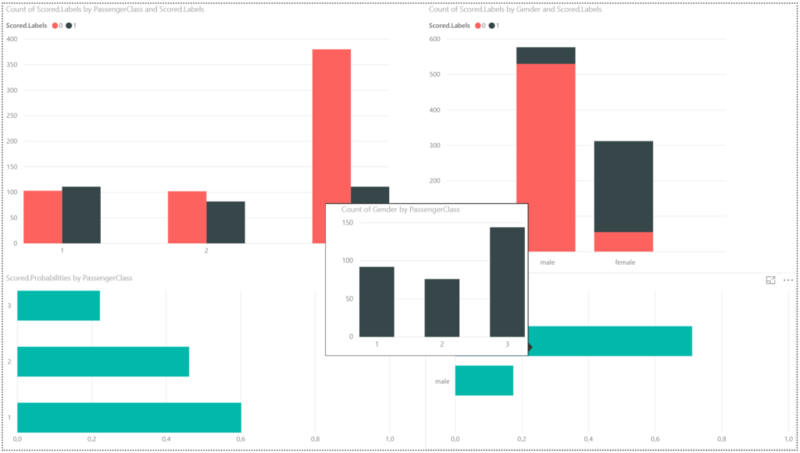 That is, up until a day before the event when I read this excellent post by Leila Etaati (twitter) on how to easily use the cognitive services in Power BI. After blatantly stealing her code (and obviously giving credit) my demo went from way too many lines to easy to grasp! Now the session basically contains a short summary of what you need to know about Machine Learning to get started. Once you have that basic knowledge, it’s time to go into demo’s. 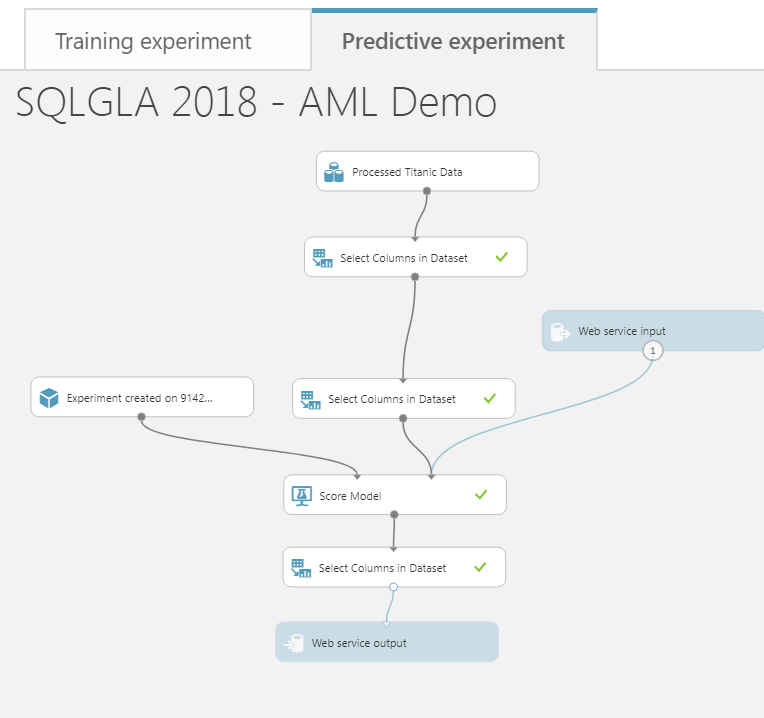 I show how to build a predictive model in Azure Machine Learning using the Titanic dataset, a golden oldie. The dataset is small enough to use in a presentation and still explain some basic principles. Added benefit is that you can keep the demo nice and simple. Having built a predictive model in Azure ML and having deployed it to a predictive web service, I switch to Power BI. We import the dataset and using the AzureML package in R we use the AzureML package to connect to the webservice and score our data. Next up is visualising that scored data in Power BI. For this session I built a very simple report, showing the results while also showing that cool Power BI Report Page Tooltip feature. You can even take it a notch up and evaluate your models by having the output of your predictive models next to the actual values. So you want the presentation slides and the demo materials? I’ve put them online on dropbox.